Gov. Neil Abercrombie assesses the damage so he can ask for federal funds. He also distanced himself from the decision to hold an election on Friday. HILO, HAWAII — Gov. 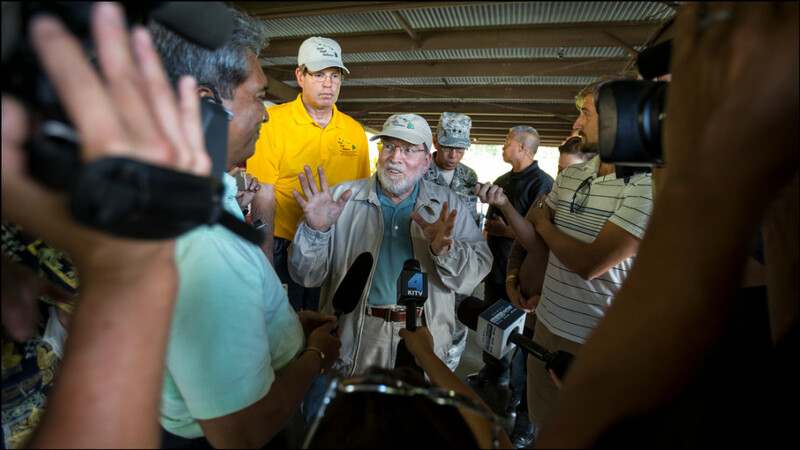 Neil Abercrombie’s arrival on the Big Island on Wednesday to address the fallout from Tropical Storm Iselle added a layer of normalcy to what so far has been surreal political theater. 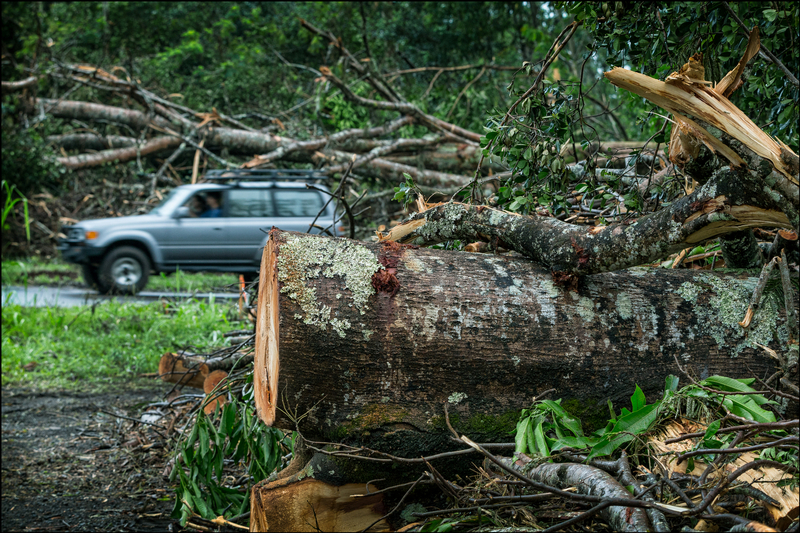 Many roads in the rural Puna district on the east side of the island are still closed due to fallen trees and powerlines, and thousands of people are without basic necessities, such as food, ice and running water. The governor has broad executive power to mobilize resources and spend money to help recovery efforts in some of the hardest hit communities here, a few of which could be without power for several weeks. Gov. Neil Abercrombie talks to the press at the Nanawale Community Center in Puna on the Big Island. But Abercrombie has no control over a controversial decision to hold a special election here on Friday that will decide the race between U.S. Sen. Brian Schatz and U.S. Rep. Colleen Hanabusa. Abercrombie lost the Aug. 9 Democratic primary in a landslide to Hawaii Sen. David Ige. 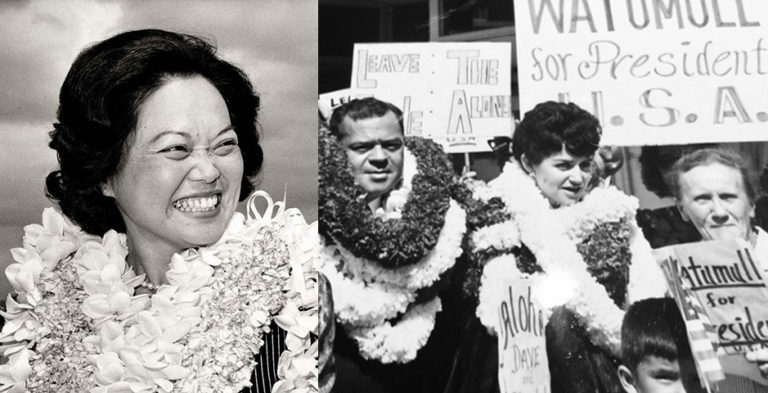 But it’s the race between Schatz and Hanabusa that has captivated politicos throughout the state and across the nation. Schatz currently leads Hanabusa by 1,635 votes with two precincts in the Puna district yet to report. 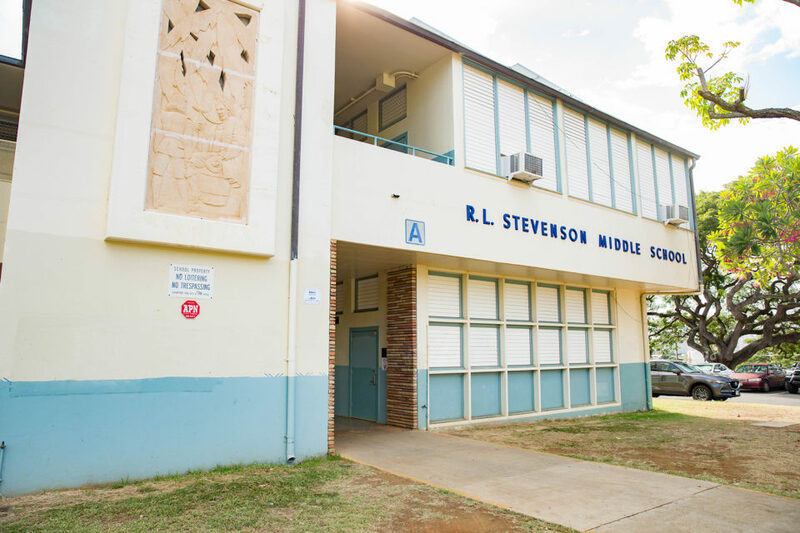 Officials shut down the polling places in those precincts because of the storm, and the Hawaii Office of Elections has scheduled the vote to now take place at an elementary school on Friday. This decision, made by Chief Elections Officer Scott Nago, has drawn a lot of criticism, particularly from Hanabusa, who filed a lawsuit to stop the election. The congresswoman argues that voters in Puna won’t receive proper notice because they’re still dealing with the aftermath of Iselle. Other lawmakers who represent Puna, including Hawaii Sen. Russell Ruderman, have voiced concern about the vote coming so soon. 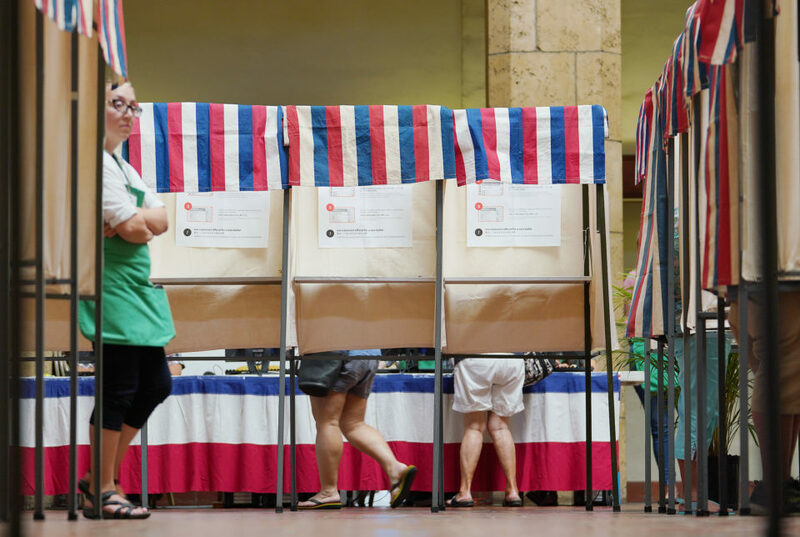 Hawaii law allows up to 21 days to postpone an election and allow citizens to vote. Abercrombie addressed this timeline on his visit to the Big Island Wednesday. He said that while state law allows for a 21-day window to hold a vote, state rules also say it should occur within seven days unless there are “compelling circumstances” that need to be taken into account. Residents drive through the middle of downed and cut trees in the Paradise Park subdivision. The governor dodged when asked whether he believed the residents of Puna were ready to vote as soon as this Friday. Instead, he tried to focus the attention on the work being done by the Hawaii National Guard, American Red Cross and other agencies that are working to clear roadways, provide supplies and turn the power back on in this rural area. Abercrombie’s visit comes six days after Iselle first struck the Big Island, bringing with it wind gusts of up to 65 miles per hour. Leading up to the storm, which hit before the Aug. 9 primary, the governor spent much of his time at the Hawaii Civil Defense headquarters giving live updates as to Iselle’s progress as it approached the isles. But his trip Wednesday was brief. He arrived in Hilo in the afternoon, visited with a family whose property was damaged during the storm and toured a small Nanawale Estates community center where residents hardest-hit by the storm could pick up free ice and water as well as charge their phone batteries. Abercrombie also stopped in at the Hawaii County Civil Defense office where he met with Hawaii County Mayor Billy Kenoi and other officials who have been coordinating the response to Iselle. The governor was scheduled to take a helicopter flyover to survey the damage from the air, but cancelled after seeing much of the devastation on the ground. He was back at the Hilo airport to catch a flight home to Honolulu before the sun went down. While here, Abercrombie was surrounded by television cameras and reporters as he thanked volunteers for their help and shook hands with National Guard members who were also aiding residents. He said the main reason for the visit was to get a sense of the damage so he could ask for a major disaster declaration from the president which would allow the state to received funds from the Federal Emergency Management Agency. 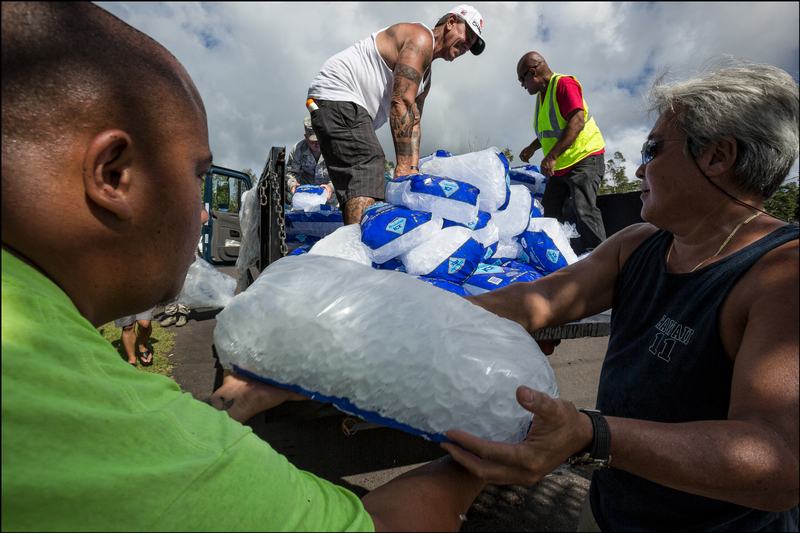 Volunteers unload ice at the Nanawale Community Center in Puna during a visit from Hawaii Gov. Neil Abercrombie. Meanwhile, recovery efforts are ongoing in Puna. An estimated 6,600 Hawaii Electric Light customers are still without power, down from nearly 33,000 right after the storm hit. Hawaii Electric Light Co. has tripled its workforce to help turn the lights back on, but there’s no firm date for when power will be fully restored. The National Guard has been airlifting thousands of pounds of ice from neighbor islands so as not to deplete supplies in Big Island groceries and supermarkets. County officials estimate more than 60,000 liters of bottled water have already been distributed. Still, downed trees and powerlines have blocked roads inside subdivisions, leaving some people without an exit. 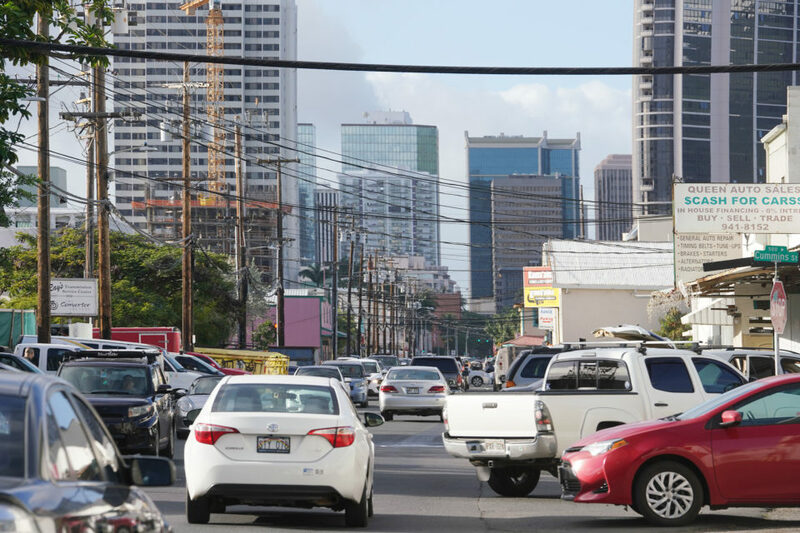 While there’s concern that this could prevent some individuals from voting in Friday’s election, Kenoi is confident the roads will be cleared. He added that county officials still plan to provide shuttle service in the affected precinct areas. There’s still a question as to whether Friday’s vote will do much to change the current results. The estimated pool of registered voters is small, about 8,200, and some have already cast ballots by mail and early walk-in. Some who live in the area are cynical about the entire process. They’ve watched as both Schatz and Hanabusa have descended on their communities to help deliver goods to those in need. While any help is appreciated, people like Earl Higa, who travels to Puna to hand out ice and let people use his generator, questions the political motivations. Mailin Moy, who runs the school, was cleaning her office, while a couple of staffers were dealing with papers. The school’s lights, fans and computers remained useless. As a result, there were no students. Moy had no idea when the electricity would return, even as power company workers cut through trees and unwrapped wires on the street out front and throughout the neighborhood where giant Albizia trees fell, cutting a path through the forest, often landing in yards and sometimes on houses. She plans to vote Friday but wonders how many people will know about the election and make it a priority. She thinks it’s important for federal officials as well as the governor to see the area and what the storm has done. 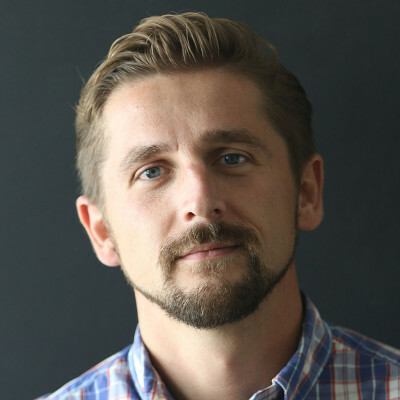 Civil Beat deputy editor Eric Pape contributed to this report.